The garden is coming along ok and we've been harvesting a lot of good stuff. Picked a colander full of tomatoes tonight and will need to get back out in the morning to pick more. Got a bundle of cucumbers and a pocket full of eggs. The girls are picking up their laying again since the heat wave cooled off a little. It has been very pleasant the past two days. It should hold for at least a few more days. Hope your garden is doing well also if you planted one this year. I've been keeping more than busy with summer homeschool, lots of baby chicks and the gardening. Hope you are enjoying your summer. Can't believe it's almost over! We have been busy this summer and Little Bug has really been enjoying the extra activities. 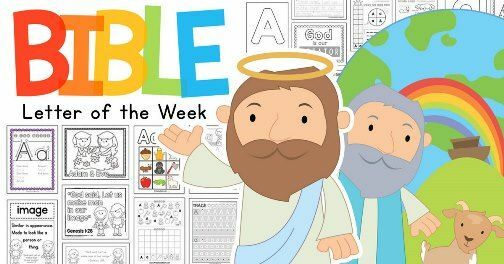 We have been enjoying working on the Bible ABC Curriculum Notebook by The Crafty Classroom over the past several weeks. The suggested age range for this program is Preschool to K4. Little Bug already knows all her letters and how to write them, but we have been enjoying practicing more and working on her writing technique. We just love this curriculum. She is getting reinforcement with her letter recognition, writing practice and a plethora of extra activities that really immerse her in not only letters and writing but also scripture, bible lessons, memorization, cutting and pasting, matching, memorization, and math! Bible verses and coloring to boot! The Bible notebook is a downloadable PDF ebook. It consists of 658 pages and you will need a 3 ring binder to keep all your pages together (or you can print and take to a printer to be bound). It's a LOT and I am just printing a few letters at a time to break the printing up. The curriculum is set up to be covered 4 days a week for 26 weeks (one letter per week). She really enjoys the activities involved each week. She gets to color, listen to and learn Bible verses, trace letters, write letters, work on copywork, complete mazes, count, hunt for letters, play bingo and a host of other fun activities. She really likes day 4 where she gets to color and cut out a crown to wear! There are 24 pages of activities for each letter of the alphabet. We just work on 4-5 worksheets per day (not every page is a worksheet) and she is having fun doing it all. The product license for this product covers your homeschool family so you are permitted to print out copies of the pages for each member of your family. I got a 2-inch D-Ring binder to put all the pages in and also bought alphabet page dividers. Everything we need is stored in the notebook, including game and matching activities that we create. For each letter there is a Bible Theme, Bible Vocabulary Word, Bible Verse, Character of God, and Character Verse. You work on a letter per week and get great bible immersion also. The schedule for each day is all laid out for you if you choose the follow the included schedule. We have been following the schedule and it works well for us. I really like that it is 4 days and the suggested activities per day are not too much and she has not become bored or frustrated. She really enjoys the extra coloring and games. If what is contained is not enough they also offer supplemental options such as their review pack, craft projects, games, or holiday activities for purchase. I also really like the versatility of the curriculum in that you can create games from some of the activities. The weekly letter chart can be separately reprinted and laminated and then cut out to form a matching game or go fish! You can store these game pieces in a pouch or ziploc bag that you keep all together with your notebook. The short and varied lessons easily keep her attention and keep her moving from one activity to another. The daily lesson is over quickly (20 - 30 minutes tops). I think this is an easy one to say we really like this curriculum. It is fun, easy, simple to follow and just works for us. Big thumbs up from us on the Bible ABC Curriculum Notebook! I am excited to check out the other reviews from my fellow crew members on some of the other curriculum they offer. We will most likely be shopping with this vendor again. You can connect with The Crafty Classroom on FACEBOOK, TWITTER, PINTEREST, and INSTAGRAM. 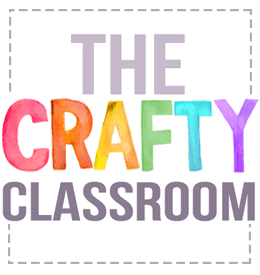 Please click on the banner below to check out the reviews on the many different products that The Crafty Classroom has to offer. You just might find what you are looking for. We needed a fun project to break up the seriousness of our summer school and the Rigid Wrap and CelluClay Quik-Sculpting Kit by ACTÍVA Products did the trick. The Kit contains two rolls of 4-in. rolls of rigid wrap, 8 oz. bag of CelluClay, and complete instructions for 12 projects. The instructions we received in our box were photocopied and one of the pages was crooked and missing part of the text. We also did not receive instructions on how to mix the CelluClay. But no worries. A quick trip to the ACTÍVA Products website and I was able to download the instructions from the LEARN tab and selecting Instructions, Tips and Technique Sheet. We were also provided a link to a FREE copy of a 29 page digital ebook, ACTÍVA Products' Favorite Sculpture KIDS CRAFTS, with lots of fun ideas and projects (twelve). Anyone can access this FREE ebook. I think we would like to try the Spider project next! The products are wheat and gluten free, non-toxic, and non-carcinogenic. Upon opening the package there was a small amount of "dust" from the CelluClay (which was fully sealed in a plastic bag). The contents were all in sealed plastic bags, but there is just bound to be dust from this type of material. It cleaned up quickly and easily. My 7th grade son was anxious to get started on his sarcophagus. I was surprised at how easy the instructions were and he was able to complete the project all on his own. The project guide provided a template for this project that he then had to assemble into a 3-D type image so that he could wrap it in the Rigid Wrap. The project was listed as Beginner Level and all the projects had a List of Materials that makes it easy to get organized to complete each project efficiently. Unfortunately, my son did NOT want to paint his project. I hope he changes his mind. It kind of defeated the purpose in my mind. First strip of Rigid Wrap done. Tricky to smooth out. It is a little bit of a challenge to get used to the medium. Once you wet it you must immediately shape, form and smooth it down as it dries fairly quickly. Smoothing it down proved to be a little challenging at times around detailed areas. We also did a butterfly and it was a little trickier to get it smooth the way we wanted it. The more layers you add the longer it takes to dry. It says you can put it in the microwave at 30 second intervals to help it to dry, but not if stuffed with paper or metal. We couldn't put either of ours in the microwave as they both had paper. My son put a few too many layers on his sarcophagus and it took quite some time to dry (more than a day). But in general I think most projects would dry in a few hours or overnight depending again on how many layers and how much was used. The beads dried pretty quickly. A little tricky for him to work with, not bad. The kit also had the CelluClay in it and you just mix it with water and mold to whatever shape you want. You can use it to embellish your Rigid Wrap projects or even add some of the medium (before mixing with water) to the water for your Rigid Wrap for more sculpting ability. The CelluClay is an air dry type clay. Once you make it (mix it with the suggested amount of water) the clay will keep in the fridge in an airtight container or ziploc bag indefinitely. The kids had a lot of fun with this art medium and I would say that we would venture to buy some and also probably check out some of their other products. The price is very reasonable and the product is pretty versatile as far as clay type medium goes. I really like how the Rigid Wrap works and produces an end result that looks like you worked really hard to sculpt but actually just wrapped and molded much quicker. We give it a thumbs up and hope you will venture to try it yourself. You can connect with ACTÍVA Products on FACEBOOK, TWITTER, PINTEREST, and INSTAGRAM. Please take the time to check out the other reviews on this product by clicking on the banner below. This must be the summer of loss. We have been doing chickens for about 3 1/2 years now and have had two losses over that time until recently. Last month we lost one of our California Whites to an unknown cause. Earlier this year we lost one of our production layers, Speckles, then the baby chick, and now our dear Goldie. 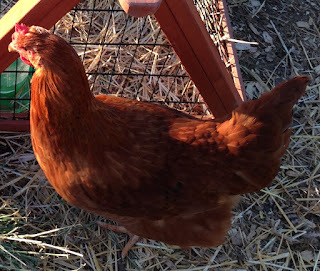 She was one of our earlier crew of chickens. We have had excessive heat and indexes in excess of 105 degrees and the heat proved to be just too much for her I think. I wonder if she wasn't hiding an illness though because she was fine the day before. She had not been showing any signs of stress compared to many of the other chickens. I was planning on processing her this fall, but it was still a sad loss of life. I hope there are no more for a long while. We really enjoyed watching the movie Trust Fund by Mapelle Films recently. It's a modern day Prodigal Son (Daughter) story. I really like that the cinematographer/producer, Isaac Alongi, was an early homeschooler back in 1982. He and his wife, Sandra Martin (who wrote the story) shot the film in 2014 and were only able to get it into the Kansas City market in 2016 due to lack of funds. It is now being released to the home entertainment market. Learn more about the Trust Fund producer, Isaac Alongi. The main character, Reese Donahue (Jessica Rothe), is a typical spoiled child with money. Thus far she has been able to live a carefree life while spending daddy's (Kevin Kilner) money (and her book advance) on things she wants and trips to distant lands. She is a writer by nature and actually has a book pending to be published. She has already exhausted her advance monies on her book and has come home to request more funds from her dad. He informs her she needs to get a job now because she just keeps wasting her money away. He offers her a position with the firm but she is not interested. When that fails she tries to get another advance from her publisher but that also fails. Reese does have an older sister, Audrey (Louise Dylan) who works for her dad's publishing company. She is the responsible one in the family. She loves her sister but is tired of her irresponsibility. While waiting on her dad in his office Reese finds out that her deceased mother has apparently left her and her sister some money in a trust fund. When she queries her dad about a possible trust fund he eludes the answer and she ultimately decides to "steal" the money ($5,000,000!!) and take off back to Italy and her newly found beau, Milo (Sean Wing). You'll need to see the movie to see what decisions she makes. Why did she need so much money? What has she gotten herself into? Is her new beau all she thinks he is? Why does he need so much money? When decisions are made, are the consequences always final? Is there room for forgiveness and starting over? Reese finds out that her mother had good intentions on withholding the money until her and her sister had matured a little more and found their way in life a little better. She also learns about unconditional love and forgiveness. Will Reese find true love? Reese does end up coming back home and working for her dad's company. The movie doesn't end there and you need to see it to see how the story turns around for her. We definitely recommend this movie. There are so many lessons to be learned and ultimately, true love and true repentance can go a long way to healing. A job well done and the rewards that follow can be priceless. Reese learns what it is like to become responsible and accountable for her actions and choices. She is ultimately rewarded with wonderful consequences. You won't be disappointed in this movie. Good, wholesome, family movie with lots of life lessons. There's plenty of drama and suspense to keep you interested and intrigued. It's rated PG for mild thematic elements and brief smoking. It is Dove approved for ages 12+ or for younger children when watched together as a family. Get it, you won't regret it! BONUS: There is a FREE downloadable study guide to go with this movie. There is also a book that Sandra wrote, Love Was Near. It is the background story to the movie. Definitely worth checking out and you can read more reviews about the book below by selecting the "read more reviews" banner. You can connect with Mapelle Films at FACEBOOK, TWITTER, PINTEREST, and GOOGLE+. I always say farm life isn't for the faint of heart. We've had losses over the years and we recently experienced another. We had just gotten 6 more baby chicks. I had wanted more Easter Eggers so bad and they just happened to get some in at our local farm store. We picked up 4 plus 2 buffs. I put them with our new momma who already had 3 we gave her. All was well until the next day, late afternoon. I went out to check on them to find one had been apparently trampled or possibly crushed somehow? She was still alive but not well. As I was setting up emergency care for her in the house, she expired. We were so sad. I had never lost a live baby chick before except for the one that didn't seem to have a successful hatch last year. I immediately set up an inside brooder and brought the rest of the babies inside to grow a little. Apparently mom was used to her 2 1/2 week old chicks and did not want to nurture the little bitties. They were chilled and needed some heat and nourishment. She is already at stir crazy stage and wants OUT of her pen. I will brood the littles inside for a couple of weeks while they get bigger and hope that mom will take them back. I REALLY don't want to finish them out inside. We will set something else up outside before I do that again. To replace the loss hubby and son went out and got 2 more, LOL. We have 7 bitties in our brooder right now. They are all doing just fine. Excited to watch them grow out! I was excited again to have the chance to review another product by Home School in the Woods. The New Testament Activity-Pak was a perfect fit for our study of the New Testament. These wonderful Activity-Paks have everything you need to get you started on researching your topic. The file we received was a digital download and included all the templates, printouts, and instructions we needed to assemble the lap book. The intention of these paks is that they be used as a supplement or a guide to a more in depth study of the subject you are studying or researching. Home School in the Woods is a wonderful hands-on history company with multiple product lines. Time Travelers American History, Lap-Paks, and Timeline Trio are a few of their other products. Also included in the Activity-Paks series are Make-A-State Activity, The Old Testament, Composers, and Artists. By engaging multiple senses your students will have a better learning experience with the subject and more retention of the facts. Assembly of the lap book "paints a picture" that will stick with them and helps them to remember the different aspects of the subject. When we received the download file I commenced to printing out the various parts of the project. The first part is an introduction page that lists the 15 projects that this pak includes that cover studies in the New Testament. The Lineage from David to Jesus, Miracles of Jesus, The Parables of Jesus, Fruit of the Spirit and Prophecies Fulfilled are just a few. Also included in this pak are two additional resources. "The New Testament News" that is a ten-page newspaper scroll that students can edit and create their own articles. It is perfect for a creative writing component in your curriculum. The second added resource is The Armor of God poster that students assemble as they learn about what it means to "put on" the Armor of God and apply it to their lives. The Lapbook Project Directions guide you through each activity with instructions of what to print, how to print (plain paper, colored paper, cardstock, etc. ), supplies needed, and project assembly instructions. Scriptures were included with each activity to help guide you through your study. Next, the Lap Book Assembly walks you through how to assemble the lap book with your finished projects. There is also a Lap Book Printable Photo Gallery that shows you pictures of each completed project (this is very helpful to see what the end product is supposed to look like). We were able to complete 7 projects over the past 6 weeks and started to assemble our lapbooks so we could share some pictures of what they look like. We moved at a pretty slow pace of about 1 project per week, but with it being summer time and lots of other activities and summer school going on it worked out pretty well for us. It allowed more time for digging into the word and allowing the lessons to sink in. It would be very easy to complete 2 to 3 lessons per week and still retain what was learned in your bible studies. Again, remember that this is a supplement and does not actually have "lessons" that you follow and complete. The intention is that you use the projects to reinforce what you are teaching on the subject matter. The kids did not enjoy all of the cutting and one did not want to color or embellish any of his projects. I suspect that after we complete the study he will change his mind and finish coloring in and decorating his book. As a whole though they did enjoy the hands-on part of assembling the projects. Especially some of the cool 3-D type ones and movable part ones. I would think these paks are perfect for grades 2- 6 but feel all ages could benefit. My two are 7th and 8th grade and still enjoyed the process for the most part. We give it a thumbs up and would recommend it for deeper study of the New Testament. It would be nice to try out their Lap-Paks next. The Wonders of the World looks pretty interesting! We previously reviewed the Project Passport Activity, History Through the Ages Project Passport World History Study: Middle Ages and really enjoyed it. You should also check out their NEW A-La-Carte projects. These are perfect for topical studies without having to purchase entire unit studies. I was given a free code for The Erie Canal study. You can also get this study FREE by using the code alacarte in the check out! We have not done this study yet, but will complete it in the near future. It looks like an interesting pop-up project that the kids will enjoy. These short projects are taken from a variety of the bigger unit studies and are perfect for individual subject reinforcement or for extra activities during VBS or just to supplement your current curriculum. You can connect with Home School in the Woods on FACEBOOK, TWITTER, PINTEREST, GOOGLE+, and YOUTUBE. Please take the time to check out all their other wonderful product lines and reviews by clicking on the banner below.